Pablo Solón, a Bolivian social and environmental activist, is the director of Fundación Solón and former executive director of Focus on the Global South. He served as the Bolivian Extraordinary Ambassador for Integration and Trade (2006–2008) and Ambassador to the United Nations (2009–2011) before parting ways with President Evo Morales following police repression of an indigenous peoples march. I want to thank everyone for your valuable comments, reflections, and contributions. Rather than try to make a synthesis of this rich discussion, I would like to share some reflections, from my experience, that may help to answer some of the concerns raised and to deepen the debate. There is no single vision of Vivir Bien/Buen Vivir. There never was. Not even in its origins. The construction of the concept of Vivir Bien could not escape conceptual mediations that used Western terms like “good,” “alternative to development,” “nature,” and many others. If the conceptualization of this cosmovision had been expressed predominantly in Aymara and Quechua, the result would have been richer, more complex (sometimes unintelligible for our knowledge patterns), and more diverse, because even among Aymara communities in different regions, there are different emphases that have to do with each particular history and environment. Approaches kindred to Buen Vivir have germinated with different names among different indigenous peoples of the planet. 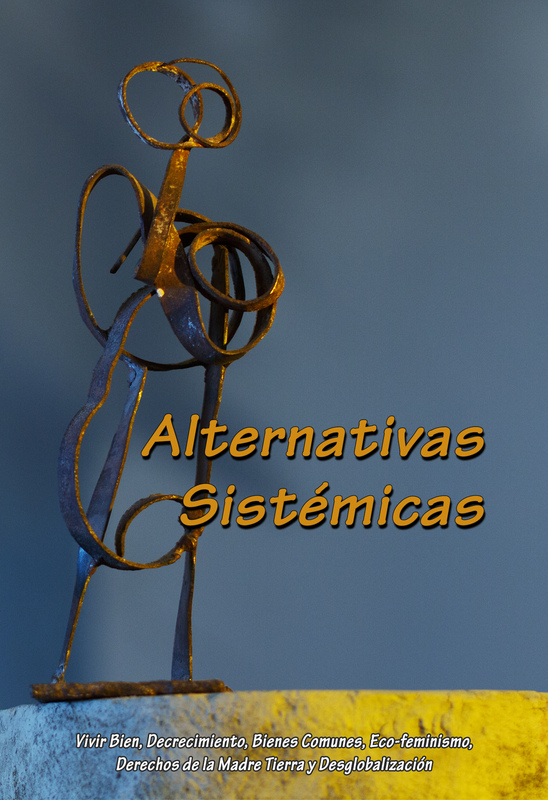 Together, they constitute an important source for the construction of systemic alternatives. They are not the only ones, nor the most important, but they are unavoidable and very relevant for the Great Transitions that we are seeking. I have highlighted some aspects of these “Buen Vivires” that, from my point of view, are central to the construction of systemic alternatives: Pacha, dynamic equilibrium, coexistence in multipolarity, complementarity, and decolonization. I have also mentioned some of the weaknesses and gaps of Vivir Bien in relation to patriarchy, the state, productivism, capitalist globalization, and other issues relevant to a Great Transition. The key is to build complementarities between different visions such as degrowth, commons, ecofeminism, ecosocialism, localism, food sovereignty, Vivir Bien, and many others. System change requires overcoming capitalism, productivism, extractivism, patriarchy, xenophobia, plutocracy, and anthropocentrism. Only the coexistence of different anti-systemic approaches can enable us to face this challenge. Every process of change begins at the local level, based on direct experiences in concrete realities. As several of you have mentioned, there are thousands of local experiments across the world that are concrete, real, and living alternatives to the current system. These local experiments sooner or later have to deal with the unmerciful expansion of capitalism, extractivism, the state, and international conflicts. In their process of resistance and affirmation, they often flourish and expand, generating social movements of emancipation that go beyond their territories of origin. Sometimes, these movements broaden to embrace multiple social sectors, and become an electoral force able to compete for control of a country’s government. This is how the process of change began two decades ago in Bolivia. The attempt to privatize water sparked social movements with peasants and indigenous people taking a leading role. The triumph over the privatization of water in Cochabamba and the modification of the law governing drinking water in 2000 showed the people that it was possible to reverse other processes of privatization (e.g., of natural gas) and even recapture the State, the political power that for centuries had been in the hands of anti-indigenous elites linked to foreign capital. The peasant and indigenous organizations that took the lead in this process built a political formation that seemed to offer an alternative to the traditional political parties. In this process, Vivir Bien gained attention and adherents as an alternative to the dominant neoliberalism as well. But the Vivir Bien of that time coexisted alongside an “industrialist” vision of the nationalization of gas and natural resources to diversify our economy. Evo Morales’s victory in the 2005 presidential election with 54% of the votes was a triumph of the convergence of social movements. Morales’s accession to the presidency was a moment of euphoria and great hope. The government of which I was a part (and I do not regret being a part of it) had several successes and failures (for which I am entirely co-responsible) in its early years. These were difficult times. Between 2006 and 2008, Bolivia was on the verge of a civil war, and at various times, the national government lost control of different cities that were won by racist elites that mobilized crowds behind flags such as “departmental autonomy” (Bolivia has nine departments). In the end, these reactionary forces were defeated through referenda and popular mobilizations. The Constitutional Assembly, which was developing a new constitution, that included the reference to Vivir Bien, was besieged for more than two years, and forced to meet in different cities. The final text of was negotiated with opposition forces protesting outside the Constitutional Assembly. The enactment of the new constitution led to new presidential elections that saw Evo Morales get 64% of the votes and his party obtain more than two-thirds of the parliament. But at this moment, a government-sanctioned process of repression began that became evident with the police response to the indigenous march against the government’s plan to build a road through the ecologically sensitive TIPNIS (Territorio Indígena y Parque Nacional Isiboro Secure). In 2014, Morales ran for and won another term, despite the fact that doing so was prohibited by the Bolivian constitution. And recently the Constitutional Court ruled that indefinite re-election is a human right that Evo Morales cannot be deprived of, clearing the way for him to run for a fourth term in 2019. What happened to the social movements that drove this process of change? How did they allow the repression of indigenous peoples? Why didn’t they react to the expansion of GMOs despite the fact that this has long been the position of the umbrella group Via Campesina of which the Bolivian peasant organizations are a part? What went wrong? Or what could we have done differently? (a) We did not realize the degree to which the transformative power of the institutions and logic of state power would change us. In retrospect, the only alternative would have been to strengthen the autonomy of social organizations, not only to control us and become a counter-power, but also to enhance the capacity of self-management. Instead, we emptied the social organizations of their main leaders by making them authorities of different offices of the state, believing that this was the government of the People. We focused on the external enemy and not on the internal enemy that captured us from the logic of power. Some suggest that we don’t have to engage with the State. In theory, that sounds very good, and hopefully, in the future when the Great Transition happens, it will be possible. But in Bolivia in 2006, renouncing state power was suicide, a betrayal of centuries of struggle. The mistake was not in taking control of the government but in not strengthening the counter-power of social organizations so that they became the real power. Needless to say, the vision of Vivir Bien was extremely weak on this point. (b) We did not promote at that time a deep debate on the tensions between the Vivir Bien vision and the dominant developmentalist and industrialist vision. As a result, we didn’t translate the vision of Vivir Bien into concrete policies to challenge mainstream development predilections, but remained deferential to the growing dependence on extractivism because it generated resources for some social programs that built popular support to confront the right-wing conspiracy. During the first years, the situation was very difficult, but after approving the new constitution by referendum and winning the elections of 2009, it was absolutely possible to put fundamental guidelines of Vivir Bien into practice. However, instead of advancing in that direction, pragmatism and political calculation prevailed with the aim of neutralizing the right through a series of concessions to banks, agribusiness, mining, and even transnational corporations. Little by little, the government began to transform itself into its opposite, and Vivir Bien remained a mere rhetorical cover. (c) We did not promote an alternative vision of modernity. Instead of advocating for a moderate, simple, and frugal society with roots in Vivir Bien, the indigenous president called on indigenous people to applaud and benefit from growth based on extractivism and consumerism. This has given rise to a new Aymara and Quechua bourgeoisie, and new strongholds of economic power linked to smuggling, mining cooperatives, and coca producers. Many leaders of social movements were captured by this dynamic of easy money, and several are now involved in corruption scandals. The problem is not only the government, but also the influence of these new sectors of economic and political power, and, above all, the demobilization of social movements. Visions and alternatives are always linked to concrete realities. The generalization of a vision, a necessity as it interacts with other approaches, should not make us lose the sense of its roots, its context, its history. The scale, the place, and the moment are very important. When we have a social process on a national scale, the international context becomes crucial. What happened and happens in Bolivia is part of a Latin American context in which capitalism has been feeding off chaos. Bolivia is now in the midst of a complex process of recovery of indigenous, social, and citizen movements. These will lead to new social configurations that will not be the same as before, although they will retain some elements. It is a new process of articulation full of challenges and dangers. The government knows the social movements from inside and how to weaken them when they rebel. Right-wing forces can gain traction by questioning the government’s violation of the very constitution they previously sabotaged. The government’s response is very simple: who is not with us is an ally of the right and imperialism. After so much rhetoric about “change,” the word loses its resonance. The keys to a resurgence of the spirit of Vivir Bien are actions and small achievements, leading to new victories, like the water war of 2000 that galvanized indigenous communities and social movement allies. Without small, relevant triumphs that translate systemic alternatives into concrete realities, it will be impossible to move towards a Great Transition.